Fasten your seatbelt, take a deep breath and hold tight! We’re off on the haunted ghost train for the spooky ride of a lifetime! Meet your doom in the Castle of Gloom! Swallow a barbecued bat! Brave some cool ghouls at a Ghost Party! Are YOU spooked? 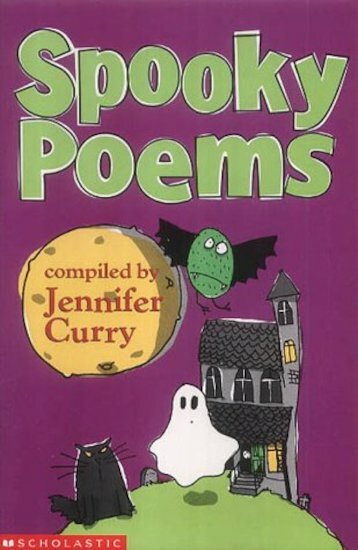 Full of dangling cobwebs and rattling bones, these nerve-jangling rhymes will make you shiver with delight! It was awesome I loved it!!!!!!!!!!!!!!!!!!!!!!!!!!!!!!!!!!!!!!!!!!!!!!!!!!!! !